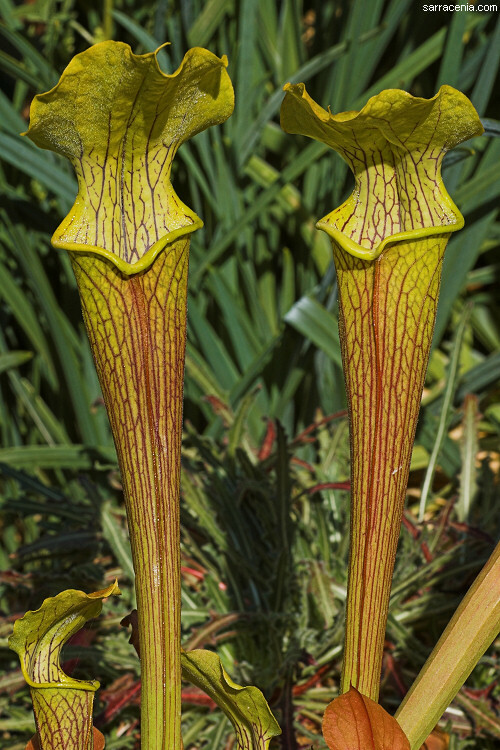 Currently there is no clear consensus on how the species within Sarracenia should be classified. There are two main areas of difficulty. The first centers upon Sarracenia rubra. One perspective, championed in particular by Don Schnell, is that this species has five subspecies. Another perspective, as promoted in the Sarraceniaceae portion of the Flora of North America (penned by Larry Mellichamp), is that two of the subspecies should be elevated to separate species (S. alabamensis, S. jonesii). There is a question of whether subsp. wherryi should be assigned to S. rubra or the proposed S. alabamensis. Furthermore, some botanists (in older publications) have maintained that subsp. gulfensis should not be given subspecies status at all. Finally, there are populations of plants in central Georgia and a bit of South Carolina that--while frequently mentioned in the literature, were not recognized at all until recently, when I gave them subspecific status. 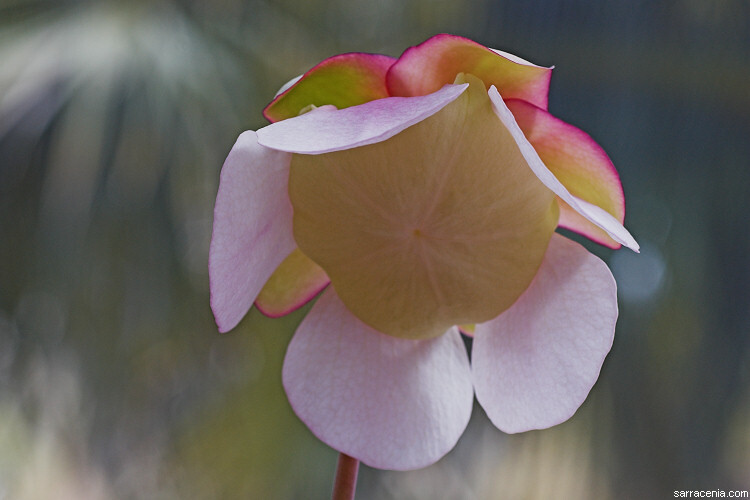 The second controversy focuses on Sarracenia rosea, and whether it should be a separate species from Sarracenia purpurea. 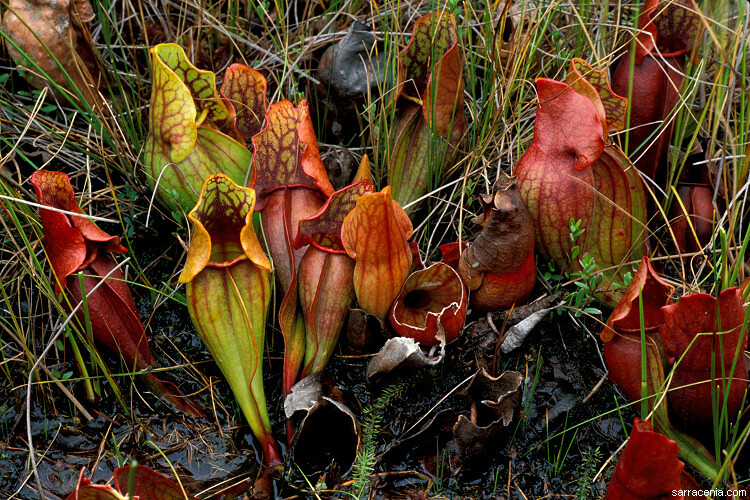 Also, the Flora of North America treatment does not consider Sarracenia purpurea var. montana valid. 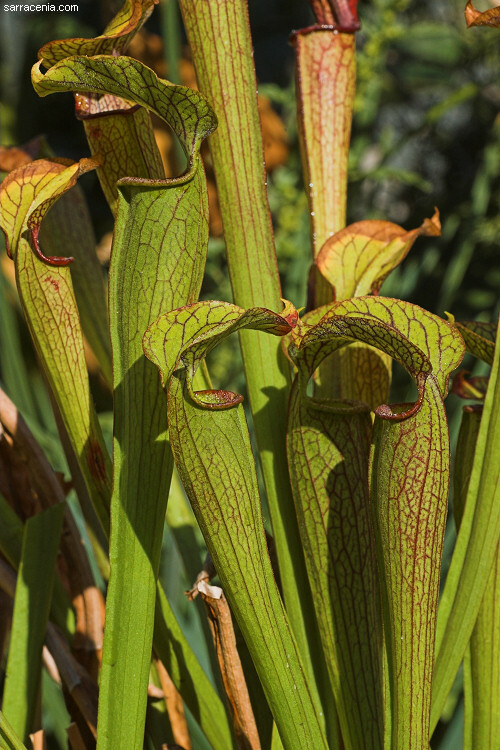 Associated with all this is some confusion about how the north and south subspecies of Sarracenia purpurea should be designated. (This should not be a problem, really, since it has been resolved, but it takes a while for the news to get around.) Read the pages that follow for more details on these entities. There is a third, bonus controversy... What's the deal about all these varieties? Are they really relevant? I will let you read my comments in the pages for each species. Let us first look at the list of taxa that I tend to follow. It is similar to the perspective given in the Flora of North America. In this list, I have inserted the new taxa from McPherson & Schnell (2011). I have also diverged from the FNA treatment by including the controversial S. purpurea subsp. venosa var. montana and also the more recently described S. rubra subsp. viatorum. S. flava var. maxima Hort.Bull ex Mast. S. flava var. ornata Hort.Bull ex Mast. S. flava var. rugelii (Shuttlew. ex A.DC.) Mast. S. purpurea subsp. purpurea f. heterophylla (Eaton) Fern. You will notice a weird non-standard name lurking amongst the Sarracenia rubra taxa, which I dealt with in 2018--see the Sarracenia rubra page for more on that. So what is the answer? Which list is "correct? " Is either? In order to form a firm, reliable, and authoritative opinion about these matters, a scientist should spend a huge amount of time in the field studying these plants in great detail. I do not mean just a few trips---I mean a lot of field time. Looking at plants in cultivation does not count for much. In fact, studying cultivated plants can even be misleading, since the specimens in cultivation are often plants selected by horticulturists because they are abnormal! A combination of field time and molecular results can reveal relationships to help guide thought, but in the end you must examine the plants in the wild setting to judge the differences between, and commonalities joining, different populations of plants. To make things even more confounding, I think that the modern botanist has another problem facing him or her. Specifically, anthropogenic land destruction has caused so much fragmentation of Sarracenia populations that modern botanists are presented with a skewed vision of how Sarracenia vary across the landscape. Where there were once great populations of plants across the southern US, there is now urban sprawl interspersed with scattered pitcher plant sites. The separate populations may look suggestively different from each other, but that is because the intervening sites---which may have had plants of intermediate character---have been destroyed. There may be an artificially enhanced appearance of distinct types of Sarracenia which is just an artifact of human development. Think about that, ye armchair taxonomists! Ultimately, my interest is not so much in taxonomy as it is in conservation, so I am not going to defend any nomenclatural perspective with enormous vigor. My interest is just in trying to protect these entities from extinction. Call them what you will; our energies should be focused on keeping them alive in the wild. Page citations: McPherson, S. & Schnell, D. 2011; Mellichamp, L. (Sarracenia, in eFlora (2008), accessed 2012); Rice, B.A. 2006a, 2018, 2019; Schnell D.E. 1976, 2002a.